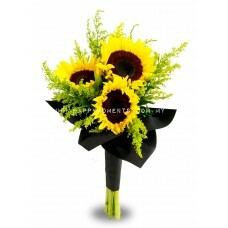 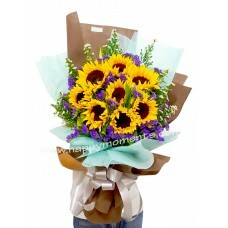 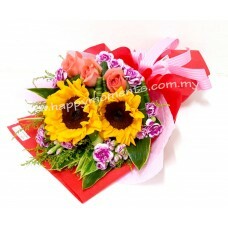 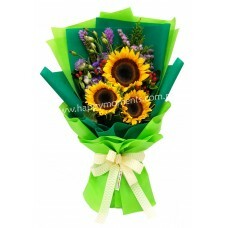 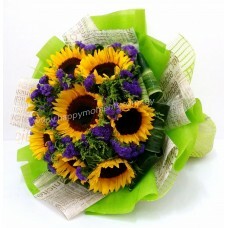 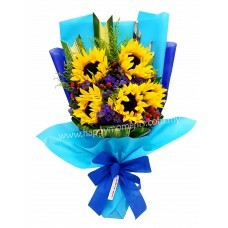 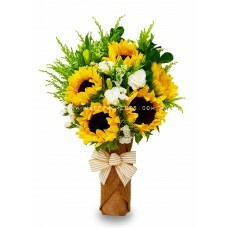 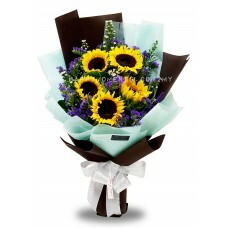 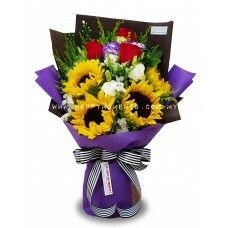 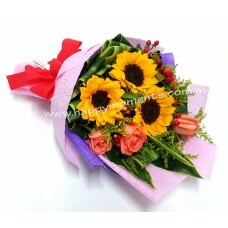 A Premium Bouquet consists of 5 Sunflowers..
3 stalks of Sunflower with Baby Breath..
5 Sunflowers with Berries as fillers..
3 Sunflowers & Baby's Breath Bouquet with 1 Medium Graduation Bear. 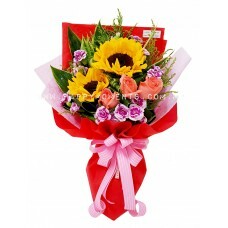 (Note: Graduation Bear can be replaced with another Bear for non-Graduation occ..
4 Sunflowers & Baby's Breath Bouquet with 1 Medium Graduation Bear. 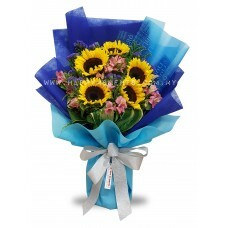 (Note: Graduation Bear can be replaced with another Bear for non-Graduation occ..
3 Sunflowers with Eustomas with 1 Medium Graduation Bear. 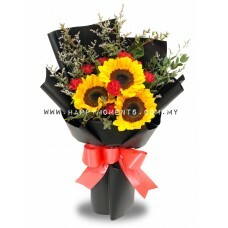 (Note: Graduation Bear can be replaced with another Bear for non-Graduation occassion)..